You are here: Home / Travel / Scams / Don’t Fall for The Grand Palace Scam! Don’t Fall for The Grand Palace Scam! The Grand Palace scam most certainly deserves its own post. It's so elaborate and cheeky, the nerve and low-level these guys sink to is quite something. …So there we were, fully stuffed from breakfast and just about over the fact that my newly arrived friend had been overcharged on a taxi meter by around 750 Baht. “No worries”, he said, “Onwards and upwards”. We jumped in the taxi and headed over to the Grand Palace, which I was sure would lift his spirits. We pulled up, jumped out and avoided the immediate onslaught of touts babbling the usual “Where you go” lyrics. In truth, I had forgotten which way the palace gate was, and ended up walking the long way around. And if it's one thing about Bangkok that immediately lands tourists in front of the scammer radar is not having a clue where they are going. You become an instant target for scams, like the one I am about to reveal. We were approached by a few guides along the way, all of whom spoke very good English and seemed like nice guys (ahem). Don’t be fooled I thought, this is tourist Thailand now, not your friendly local shopkeeper in Nakhon Nowhere. He then proceeded to reel off the name of some other historical landmarks and something about getting a Tuk-Tuk. …On the way to the Palace we were approached by three more Thai guys telling us the Palace was closed. It would have been believable if the story hadn't evolved to “It’s only for Thai people until 3pm. After 3pm you go inside, but now you go to….”. Even a security (sort of) guard outside the Palace tried to stop us just yards from the door. It was of course all bull****, yet very convincing for the unsuspecting tourists who were falling for it left, right and centre in front of our eyes, and no doubt missing the Palace visit altogether because it really does close at 3.30pm. Had it not been for the variation between stories, it is very possible that we may have fallen for the scam, particularly because so many people were saying the same thing. When we finally got inside the Palace and hired our long trousers, I spoke to one of the staff and explained the con that was going on outside. Typically, she laughed and said, “Yes, it’s not true”. “I know that now I'm in here, but you really should do something about it,” I said in a firm voice. It was at that point my mind cast itself back to a time when two friends had visited last year. I remember them saying to me, “Oh, we missed the Palace because it was closed until 3pm today, but a Tuk-Tuk took us to see some other stuff and a gem shop”. Wow, I thought, the scam has been going on for some time. Take care out there folks. 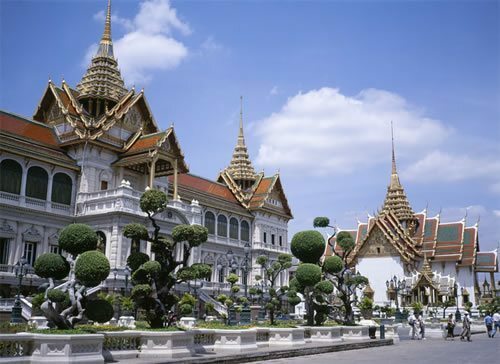 And in the meantime, check out these pictures of the Grand Palace while you plan your trip. 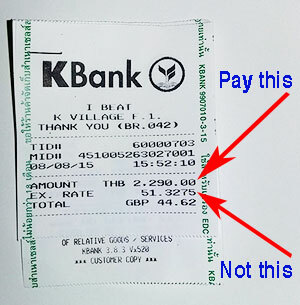 Watch Your Pockets – It's the New Thailand Bus Scam! My friend and I used this scam to our advantage. We had 1/2 a day left and had no idea what to do as it we had both been to Bangkok a few times before and had hit all the major attractions already. So, we went to the Palace and took out our guide books in order to "look" for something to do. A male scam artist came up and told us the same thing about it being closed, to which we said we knew and were trying to find somewhere else to go. He starting naming off all the major places to which we said we had already been there and there and there. He finally got around to suggesting a smaller temple and hill top where we could get a good view of the city. Sure we also had to spend 10 minutes in some jewelry store (we knew it was part of the scam and not to buy anything), but we also found two places that weren't in the guide book and got a good price on a tuk-tuk without having to negotiate. I'm not sure if this works all the time because I've heard of cases where the tuk-tuk driver gets mean if you don't buy anything, but we made sure to look around and talk about much we like this or that piece of jewelry and how we wished we had the money to buy something. It worked out great for us. lol, that's awesome Gina. Where was that hill-top place, I'd like to check that out. Sorry, no idea. It wasn't in our guide book. We didn't see anyone else on our way up or down...I'm not sure if that means it's not popular or if we were just lucky. It was an awesome find. The temple they took us to only had one other foreign couple at it (I'm sure they were on the same scam we were). It was small, but peaceful and beautiful. I'd try the reverse scam again if I find myself in Bangkok with time to kill. Most probably this was Wat Saket also known as Gould mountain. Not far from the Democracy monument. The only hill in Bangkok and artificial. Hmm..this is very good to know indeed! *mark it in my binder* That is pretty bad that they even have someone who looks like a security officer. That would definitely make me believe it as well.... good thing the story changed! it's a horrible scam that so many people fall for. I overheard a family in a local cafe talking about this exact thing the other day; they were driven to various shops and temples and missed the palace! remember don't trust any one outside the palace. They will treat you very nice and ask you to visit some place 1st cause palace having player every weekend only for Thai. So if you follow the tut..tut. He will bring you to the 1st tample and in that temple that is another guy will talk to you very nicely that the temple not open and keep telling you that you should go to Thai export (jewelry shop) and how make money with the gold you buy. After that, the tut..tut. will bring you to the Thai export. If you end up never buy any jewelry than the tut..tut. will start to show his angry face than keep telling you to ask for the gasseline at the next jewelry shop. So be very carefull with all this scam. Solid advice Eric. I was nearly a victim of this scam once! Yep, my first trip to the GP(with a Thai woman too that almost fell for the scam) we were hit with the "it's closed now but we can take you to..." story but luckily we did not fall for it & just a few meters down the road was the main entrance where we went in with no further hassles. Is such an easy & believable scam even for Thai people to fall for & as has been said before it is really unfortunate because it casts doubt on everyone in BKK & Thailand where the good people really do out weigh the bad. Another scam that I unfortunately DID fall for was at a Thai massage place in Pratunam that had a sign outside for a 1 hour massage for 200TBH but come time to pay they showed a menu style book charging 350TBH. I naturally jacked up about the price pointing to a now non existent sign outside that they had taken away once we went inside & out of view. So the moral to this story is...negotiate a price for everything everywhere beforehand so you know what you will be paying & don't get hit with any surprises. That massage trick is a new one, indeed. I must say I have never experienced that. I live outside of the main centre of BKK (about 5 stops) so tend to get my massages here in a friendly local place frequented mostly by Thais. The TAT really should step up and do something about that Grand Palace scam though. If you only have a day to view the Palace and you get misled by the scammers then you may end up missing the Palace altogether and never seeing its glory, which would be sad if this is your once of a lifetime trip to thailand.